YoungMinds is a charity fighting for young people's mental health. 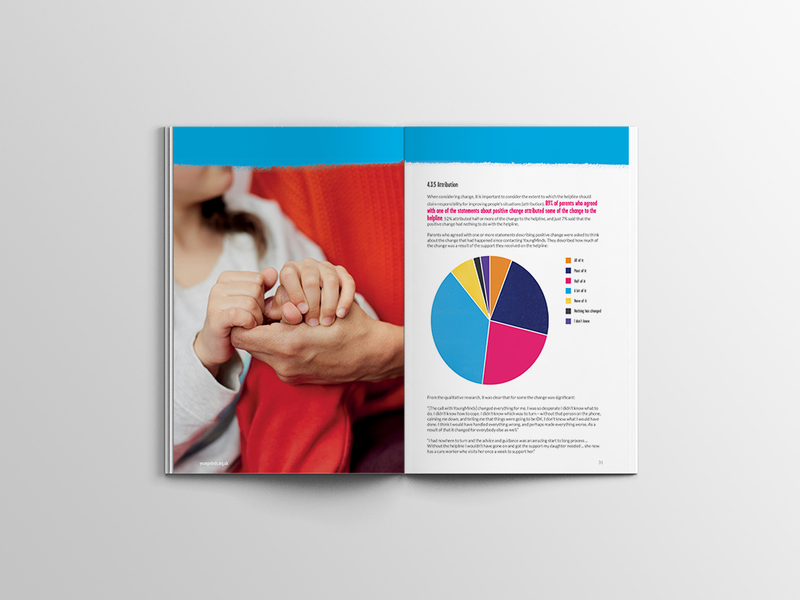 I designed a 60 page report for their parents helpline in accordance with their brand guidelines. The report was very text and statistic-heavy so I pulled out key information in the left margin and designed diagrams and tables for easier reading.